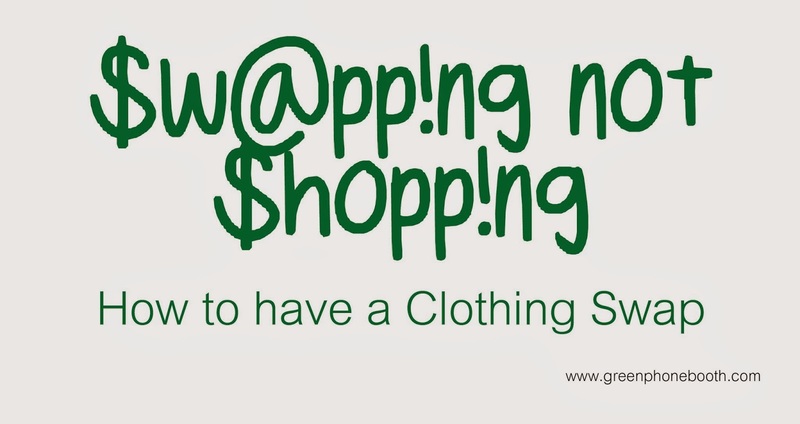 The Green Phone Booth: Don't Shop, Swap! I think swapping is absolutely the way to go. Frankly, I even look at our local thrift store as a library of stuff. Things are so cheap and the stakes are so low, as you say, that we buy things there and if they don't work out, just donate them back. Why EVER buy new and pay full price again?